Definitely some Shoes DNA in that one, although with more energy; I was immediately reminded of The Producers. There’s a little of The Jam in “Own Little World” and “If You Let Her Go” is a mashup of The Grass Roots and The Turtles. Many of the tracks are matted under that thin 80’s production, but for a 1984 album and a handful of outtakes it sounds very clean. 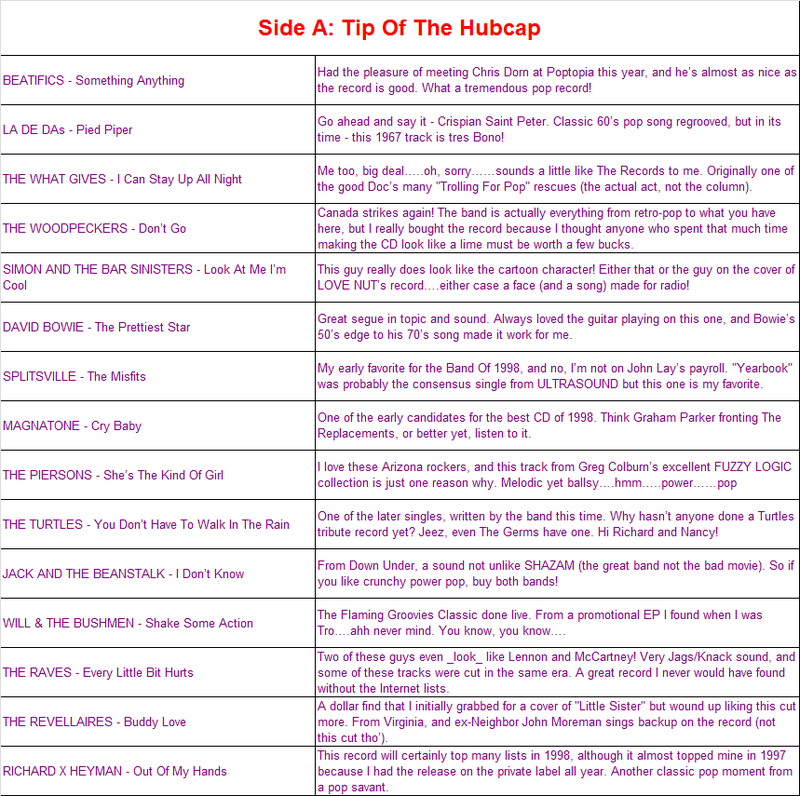 Some of the production choices sound a little dated and there’s a synth clouding a solid cover of “My Back Pages“, but when songs are as infectiously hummable as “Rainy Day Girl” or lyrically clever as “Lies” (Buddy Holly fans, take note), so what? 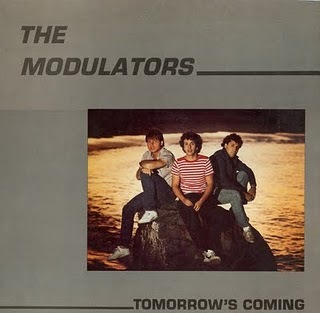 The Modulators website and MySpace site. 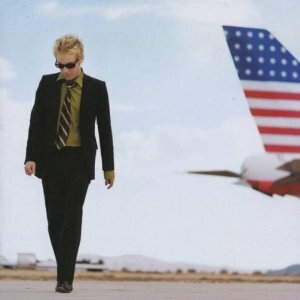 The knock on ex-Gray, ex-Jellyfish Falkner is that (besides apparently not being able to stay in a band) for all his melodic chops he is incapable of writing a song that’s simple enough to be easily memorable – in other words, the Big Hit Single. So what is he supposed to do, dumb down? Besides playing and singing and writing and arranging everything, he also took the time to craft a boatload of great music that will nudge you at first listen, yet worm its way deeper with repeated listenings. “Eloquence“, which he had been performing live for a while, is reminiscent of John Lennon and could be radio fodder with a more spry arrangement. Ditto “Holiday“, where Falkner gets the chance to show off his vocal acrobatics. “Author Unknown” (ironically the title of his previous record) has a great repetitive chorus and the double-time tempo at the end is a great touch. If a band like Radiohead can conquer the planet with their adventurous, textured sounds and pensive wordplay, why not Falkner? 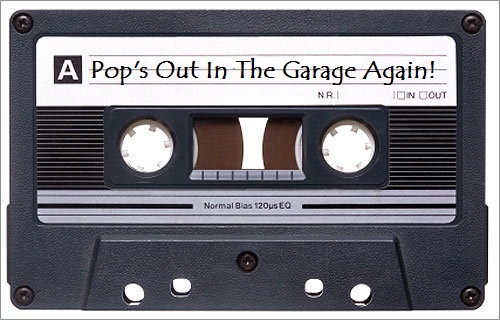 The good Doc knows the A-B-Cs of pop music; this was one of the first tape swap mixes I made for Son Of Tape Tree (a/k/a/ SOTT), a tradition which is in its thirteenth or fourteenth year. We’re down from one every two months to once a year despite the ability to dub CDs much faster and cheaper than C-90s! Title obviously stolen from a great Graham Parker song. As more and more obscure pop bands from the 70s and 80s resurface and issue CD anthologies, I’ve started to realize that it wasn’t just a few or us who watched a couple of great local bands wither and die in our area code while corporate rock radio kept belching out the same overhyped crap. Sure, there were a slew of one and two hit wonders in the post-punk and new wave eras, but that was when labels still had a gazillion dollars to toss around. Soon, when things got tighter, labels would just descend on a city with a buzz (i.e. Seattle) and milk it dry; a precision military attack as opposed to the carpet bombing they were used to. 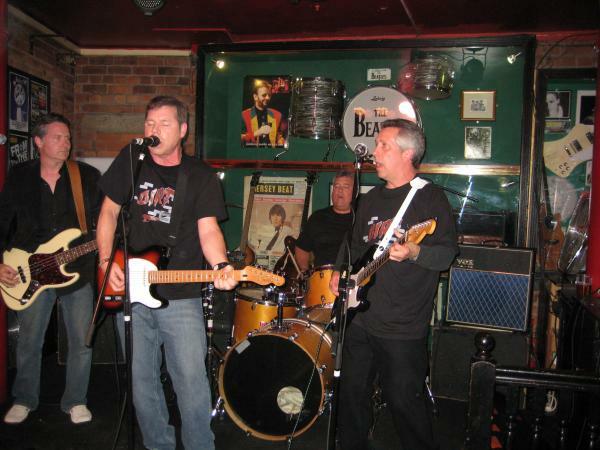 The Flashcubes fell victim to being in the wrong place at the wrong time, and when guitarist Paul Armstrong left to form The Most and 1.4.5, the three remaining members carried on as Screen Test. While more of an overt pop band that the ‘Cubes, they were still a powerful presence. Drummer Tommy Allen – as good as there is then or now – locked in with Gary Frenay’s flavorful bass playing to free Arty Lenin to be an absolute alchemist on guitar. Bolstered by two strong songwriters, Screen Test seemed even more primed for success than the Flashcubes and even landed a video on MTV’s Basement Tapes, but alas, it was not to be. After a few years Allen moved to Manhattan and found success as a producer and a touring drummer; Frenay and Lenin remained in Syracuse where they still perform together (in groups and as a duo) to this day. But a Japanese market hungry for the lost magic found The Flashcubes a decade ago, and the reunited band got to live out what should have happened the first time – screaming crowds, a performance at Budokan and eventually the album they never got to make. So if the incredible three-set gauntlet that Screen Test threw down last weekend – their first performance in six years – maybe fate will smile kindly upon them as well and give them the exposure and respect beyond their local following and cassette EPs. Obviously words don’t conjure sound, but the band had a treasure trove of should-been hit singles that still sound fresh and vital today. 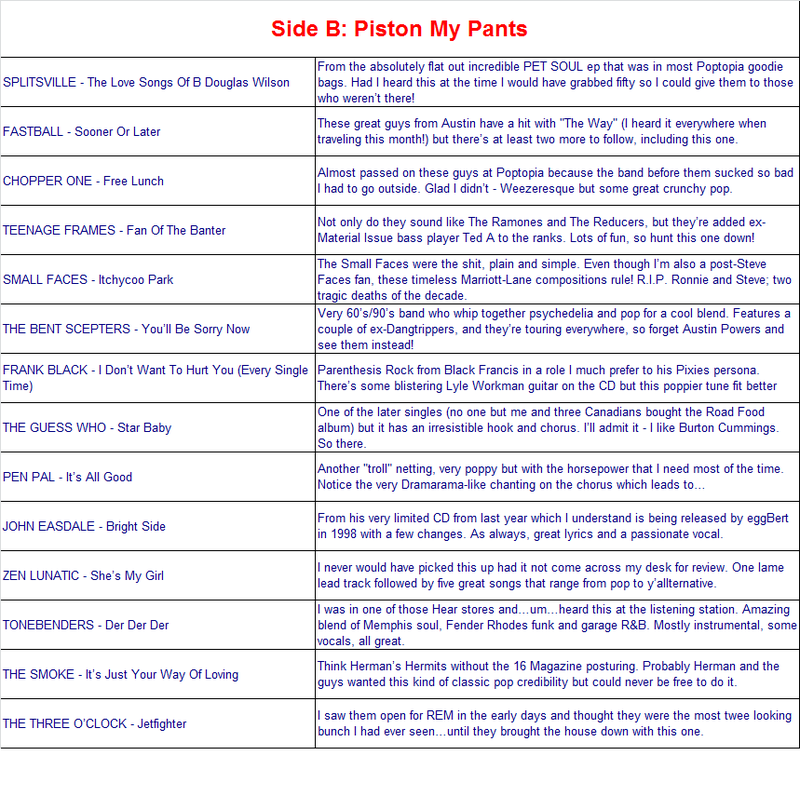 “Anytime”, “Nothing Really Matters When You’re Young”, “Sound of The Radio”, “Restless”, “Suellen”, “Make Something Happen”, “It’s No Secret“…any of these and more should have been blasting out of radios in the early 80s. I still feel the same way after hearing them launched from the stage of a neighborhood bar over a quarter century later. If YouTube was around in the early 80s, I wouldn’t have to tell you about the band because you would already have their albums. 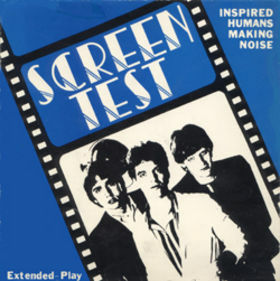 Like The Flashcubes, Screen Test’s first full-length was an anthology of singles and EP tracks, an instant collector’s item. So perhaps the band will follow suit, feed off the energy of that Friday night in August and decide to record again. After three long sets of originals and choice powerpop chestnuts, I know I wasn’t the only one who saw a band far too vital to limit itself to reunions. aybe you know a band like this, too. Maybe your band already took the plunge. Here’s hoping Screen Test gets that long-overdue callback. T.G.I.F. 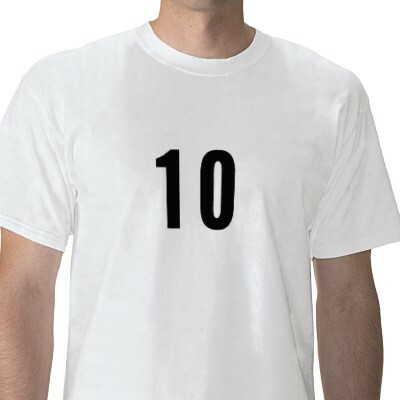 – Ten For IPO! 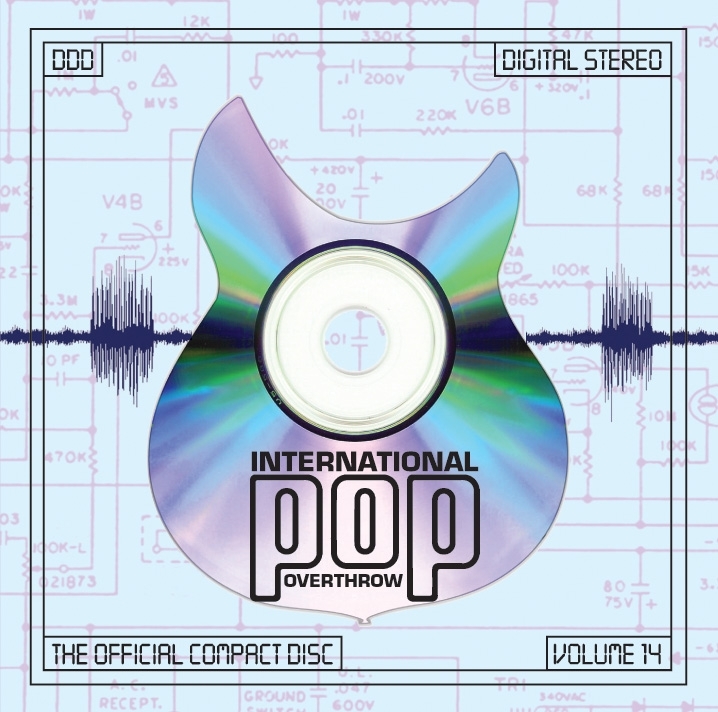 From the ashes of the Poptopia festival in the late 90s came International Pop Overthrow, a multi-night multi-band powerpop showcase named in honor of the Material Issue album. David Bash has brought that festival into a global limelight on the years since, from coast-to-coast in America and in the hallowed halls of The Cavern in Liverpool England. And every year there is a multi-disc souvenir featuring many of the bands who take the stage, a tradition that Not Lame Recordings was (ahem) instrumental in perpetuating. David is still out there bashing, and while Not Lame is no more, Bruce Brodeen is still involved with the CDs. 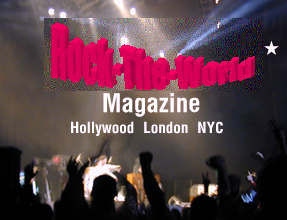 The latest – Volume 14 – is now on sale at the Pop Geek Heaven site that Bruce now manages. So this week’s TGIF is Ten For IPO – ten artists who can be found on this latest version of pop nirvana. Get your powerpop on! Like many cities, mine sponsors a series of events during the Summer season to get people out of their houses and hopefully expose them to the wonders of downtown. Like many cities, there aren’t many wonders downtown, but for two dollars you can enter a section of city pavement boasting a temporary stage and beer tents and catch some music on a Thursday night. 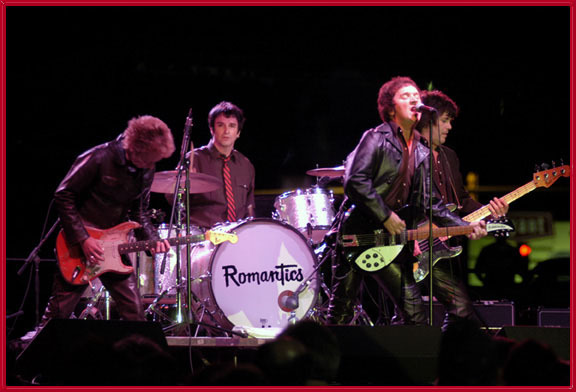 Last week I headed out of the office at 6:30 (or as I lately refer to it, lunchtime) to catch The Romantics. I hadn’t seen the band in years – a short set maybe a decade ago – but when they were in their prime they used to roam the NorthEast club circuit. 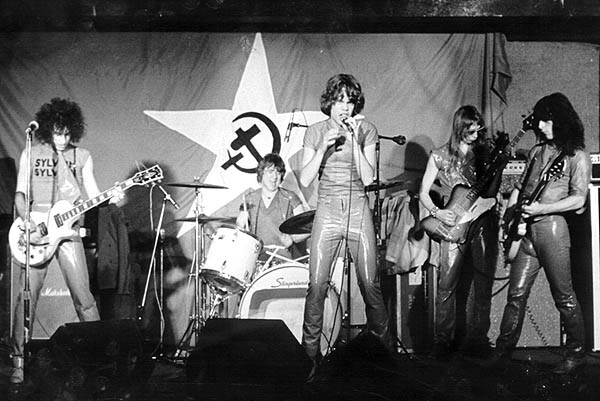 I’ve seen them in snappy red leather (like the latter-day New York Dolls sans commie flag) and often they’d pair up with local legends The Flashcubes. Met them all at one point, they were nice guys catching a good break and taking advantage of it. In the 80s, when they started to split, Jimmy Marinos formed The Motor City Rockers and they were referred to the management company where I was working. They played a great demo, but despite my pleading, I was outvoted 2-1 and they went elsewhere. Had I realized who Robert Gillespie was at the time, I might have followed them out the door. The band now boasts five members, and while I initially assumed as many as three might be replacement members, I think that drummer Brad Elvis might be the only one with a recent pedigree. 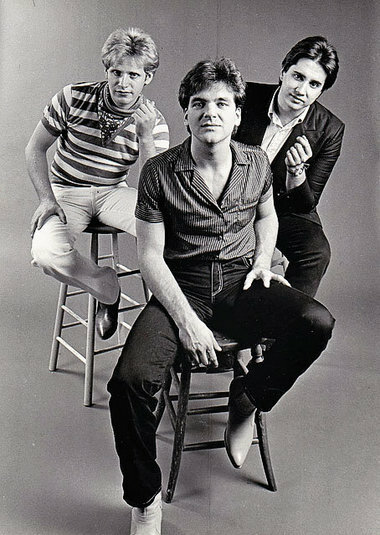 Wally Palmar was still up front, Mike Skill (still boasting that mop of hair) stage left, and I’m pretty certain that was indeed both Rich Cole and Coz Canler on guitars. That would mean that the first three guitar players in the band – all of whom replaced each other in the lineup at some point – were sharing the stage. Naturally one of them now handled bass guitar duties, although for the life or me I don’t understand why a few of the songs featured one guitar and two basses. None of them are John Entwistle, so I can only assume that the five dollar Newcastle drafts blurred the set list. I’d hate to think that they were trying to bring the thunder on purpose. Things started off swimmingly with a robust “Rock You Up“, classic chunky power chords that make you wonder where you last left the guitar so you can bash it out when you get home. But after another kinetic rocker, Wally told the crowd they were going to take it down for a minute. I know the wandering mass of city workers, mullet heads and bikers might not have been jumping up on stage, but give us credit for the ability to withstand more than seven minutes of upbeat tunes without having to lay down. I started to get the feeling that what was set to be a ninety minute set might have a little padding in it. The band played with energy, and Brad Elvis is a showman as well as a keen timekeeper, but there was something lacking. In fairness, the sound at times was atrocious, and powerpop needs to be crisp and clean (although they extended several songs to remind us they are rockers from Detroit, not pansies). My friends wondered whether a shorter, tighter set might have been better, as momentum was occasionally lacking. The strong finish did include the requisite Kinks cover and audience participation, but as my friend Bill aptly put it, we were neither overwhelmed or underwhelmed. Just…whelmed. The band is supposed to be working on a new album, and they certainly have the chops to pull it off, plus Palmar’s voice is in fine form. Maybe Jack White or Jim Diamond will work their magic and rekindle this flame? If so, Do Me Any Way You Wanna, guys – I’m on board.